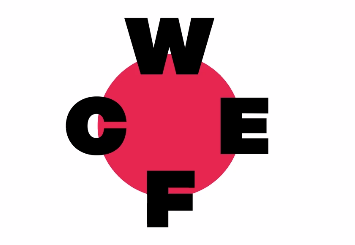 The second World Circular Economy Forum 2018 (WCEF2018) took place from 22-24 October 2018, in Yokohama, Japan. The world’s biggest global gathering on circular economy solutions brought together more than 1,100 leading experts and decision-makers from more than eighty countries to discuss their future visions. The WCEF provides a platform for in-depth consideration of the role that a circular economy can play as a vehicle for de-coupling economic growth from the ecological impact of natural resource consumption and as an important means to meet the challenges of the Sustainable Development Goals (SDGs) and the UN Framework Convention on Climate Change (UNFCCC) Paris Agreement on climate change. There was a call for a prosperous future and a globally shared positive long-term circular economy vision. This was identified as a potential foundation to build action-oriented international, national and local strategies with measurable goals as well as inspire grassroots activities. 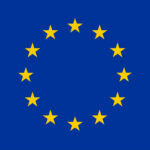 The World Circular Economy Forums were described as platforms to support this work. The SDGs were identified as an excellent basis to build a global Circular Economy strategy, which defines a trajectory for advancement by 2030, 2050 and beyond, and how to get there. The G20 and UN meetings were identified as ideal decision-making tools to build a global circular economy strategy and together tackle global challenges of climate change, polluted environments and unemployment. The circular economy was said to be an essential part of meeting the Paris Agreement goal of limiting global warming to well below two degrees Celsius, as there is growing recognition that renewable energy and energy efficiency measures alone will not suffice. The core messages underlined the need for a shared global vision for a circular economy that can correct current political emphasis on national interests and help remove and prevent harmful obstacles to international trade and collaboration such as trade tariffs and protectionism. Increased trade of knowledge and services combined with local production close to markets were identified as contributions to lowering environmental impact through less required transportation and more efficient supply chains. There was a call for product and service solutions that enable the circular economy to be allowed to spread across global markets freely. There was a call for collaboration to help build a global circular economy by 2050 and create a planet where the economy and the environment are no longer in contradiction. This was accompanied by a call for strong political and business leadership to shift away from a linear economic paradigm, which was described as the root cause of global challenges such as climate change, polluted environments and unemployment.